The final stretch of our Japan tour saw our return to Tokyo. With bento box in hand we jumped on board our Shinkansen (bullet train) to Tokyo from Shin-Osaka for our 3 hour journey across the country. I love bullet trains and I love train station bento boxes even more! 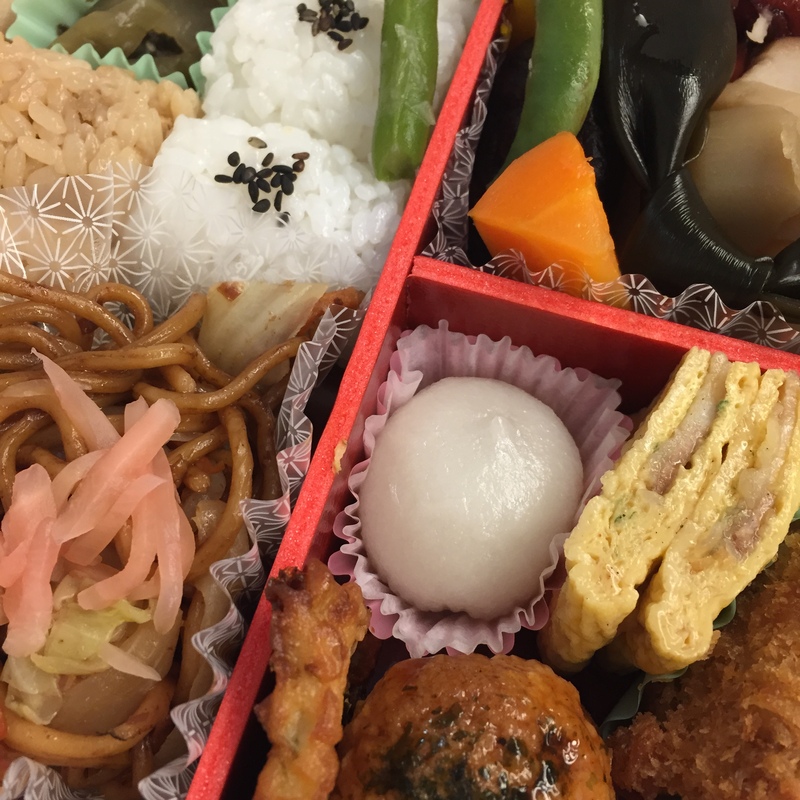 Bento boxes are not only delicious and well balanced but they are beautifully presented; just because they cater for the commuter does not make them an inferior choice of meal. And a meal they are; with compartments for rice, pickled veg, steamed veg and seafood. An omelette and tofu are also present, some with maki rolls with others including a sweet dumpling doused in syrup. Alternative bento boxes have special mechanisms whereby you need to pull a string which causes a chemical reaction under the box producing heat, heating up the pork inside! Definitely beats a meal-deal sandwich bought at a UK train station! Once back in Tokyo, we headed towards our hotel on the cusp of the famous Shibuya Crossing. Having stopped in the centre of the crossing on several attempts at perfect filming opportunities, photobombed by random passersby and never actually taking the perfect action shot, we agreed that it was time for dinner. We were determined to find somewhere that provided us with a Korean BBQ experience. Even though in Osaka we got the concept, the execution was not as desired. So on a little side street, just after Taco Bell (which recently opened) we found a place that was full up and asked if they would have us later on in the evening, as we had remembered that in Tokyo everyone dines early. Whilst we waited for our table, we popped into Kirin City for a couple of pints of FROZEN BEER! Now, why has this not reached Gibraltar?! How perfect could this be? Ice cold beer topped with beer froth in the style of a Mr Whippy! And they give you packets of pictures to stick into the beer as can be seen from the images below. Anyway, euphoric from beer entertainment we returned for our Korean BBQ dinner. Once again we were recommended a mixed meat platter of Matsusake Beef as opposed to Kobe beef. Here we cooked our beef over open flame on a little bar top gas bbq. The beef was mouth-watering. Matsusake Beef has a high fat-to-meat ratio; completely marbled throughout. As the fat cooks out it gives the beef incredible flavour and keeps the beef juicy and succulent. I would quite happily have picked another platter of this delicious meat! If I remember correctly – frozen beer was dessert that evening. Another night, I was introduced to the wonders of Train Sushi. Like a kid in a candy shop! I loved this experience. At one point I had to stop myself ordering more as I could have continued pressing buttons all evening! Then, to keep you entertained – as if train sushi wasn’t enough of a lark – you get to play ‘rock, paper, scissors’ against another diner. If you win, you get a discount on your meal! Hahahahahah – even losing the game was enjoyable. Ok, so we’re not talking high end maki/sushi/sashimi but it beats anything we could every try and emulate throughout the rest of the world (ahem…except if you’re a trained sushi chef working in another part of the world). On the last few days we headed towards different boroughs of Tokyo: Shinjuku, Akihabara, Harajuku, Shibuya, to name a few. And one of the more enjoyable parts of the trip was a Japanese Cookery Class run by a lovely lady called Ayuko at Buddha Bellies Cookery School. Almost appearing out of nowhere, Ayuko introduced herself with hand outstretched and welcomed us all into her cookery school. A mesmerising bookshop/kitchen. 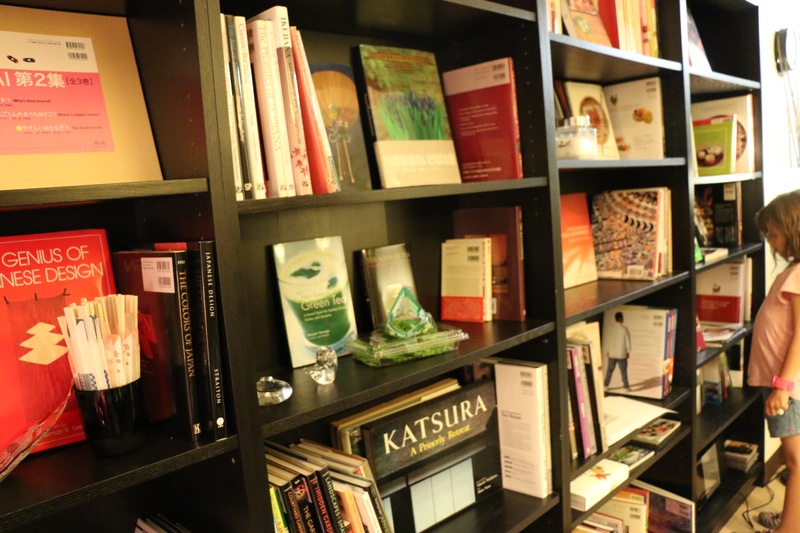 Against one wall, a multitude of books on Japanese cuisine and culture. At the centre of the room a homely, welcoming dinner table that was to become our work station. We introduced ourselves to the rest of the group (Bath, Albuquerque & Gibraltar!) Tripadvisor’s #1 thing to do in Tokyo is a Buddha Bellies Cookery Class! Take your pick of Sukiyaki, Washoku, Bento & Sushi. We took the Washoku class (Japanese Cuisine) and created some amazing dishes; teriyaki fish, aubergine and green bean miso sautee and three colour miso soboro don. The class was very relaxed in approach and it became a ‘cooking with friends’ opportunity where we talked about ourselves, hometowns and cultures. Ayuko explained all the traditional important elements as we progressed through the session. Once we had all completed our dishes, we sat around the table and enjoyed a beautiful lunch with the dishes we had created. 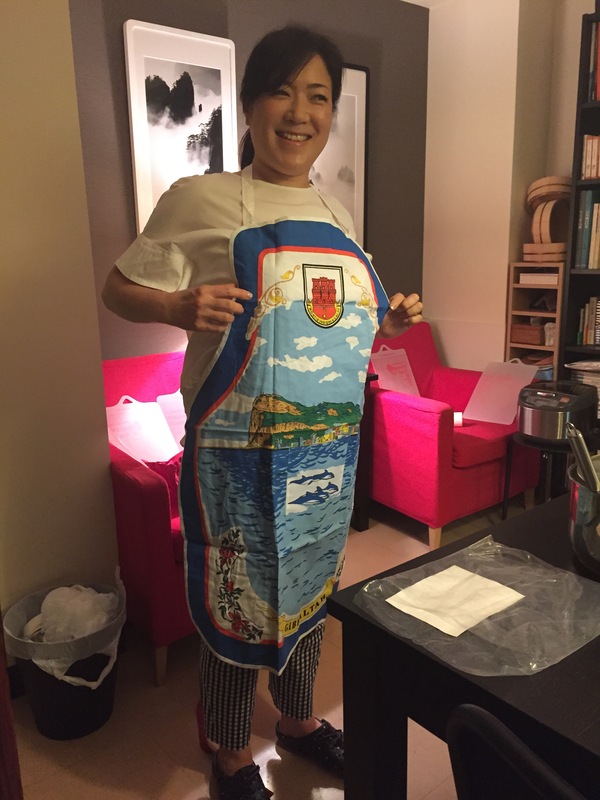 I thoroughly enjoyed every moment of this class and since following Ayuko on Facebook, you begin to realise how many people from all corners of the globe book themselves into a cookery class with Ayuko. Glad we took time out of sightseeing to experience this. All in all, a fantastic foodie trip to Japan – the freshest sashimi found at Matsushima Bay, yakatori both great (Kyoto) and not so great (Ginza), weird and wonderful ox tongue (Kyoto) and horsemeat sashimi (Matsumoto), deep fried oysters (Miyajima Island), Okonomiyaki (Hiroshima), the most amazing tempura (Kyoto) as well as the most refreshing soba noodles (Kyoto & Nagano). The simplicity of the vegetarian food at Buddhist Temples in Koyasan, to all the beef stops (Osaka, Tokyo, Takayama) whether served in a burger, sizzler, hot plate or bbq. The sophisticated yet classy approach of Ayuko’s cookery class to the hysteria of train sushi and the sugar coated cuteness of breakfast at a Maid Cafe; I relished every single moment! It has been approx 7 weeks since our return from brilliant, vibrant Japan and I must say, hand on heart, I crave not just proper sushi and sashimi but a bamboo tray of cold soba noodles topped with crispy, light and delicious tempura – OISHI! I hope you’ve enjoyed the Japanese installments on the blog. Autumn approaches…can’t wait to show you the dishes I’ve been working on!